Hi everyone! 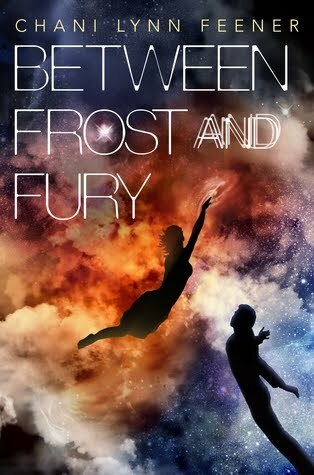 As you can see, I am participating in the blog tour hosted by Xpresso Book Tours for the book Between Frost and Fury. I really enjoyed the first book in this series. I thought it was fun and everything that I wanted in a book like this. I am so excited to see how the story continues because that cliffhanger honestly made me super frustrated. Thank you so much to Xpresso Blog Tours for providing me with a copy of this book. Just a small disclaimer for those reading this review. I have received this book for free. Please note that this does not affect my opinion in any way. All thoughts are my own. I loved the writing in this book. It was smooth and the pacing was well done. I found myself turning pages faster than I thought I was. The dialogue was sarcastic but also really natural. It also definitely helped to move the plot along. Oh my gosh, I liked the first book. I loved this book. The tension was just everywhere and whilst this book wasn't filled with intense action it was filled with so much more. It had me wanting more. I loved everything about the plot. I thought that it was well thought out and the contrasting scenes worked quite well. I really don't know what else to say without spoiling the plot but it is definitely one worth investing your time in. Honestly, Delaney and I would be such great friends. She is fierce and she is sassy. Her sarcasm and wit honestly amaze me. I loved reading about her and loved how she went from someone who was struggling in the previous book to someone who took control of her problems in this one. Trystan was honestly my little marshmallow and I refuse for anyone to hurt him. It is against the rules. Overall, this book honestly surprised me. I didn't expect to love it as much as I did. I thought maybe it will suffer from middle book syndrome but it didn't. It rose to the plate and smashed it. The writing was brilliant and easy to get into. The plot was well thought out and never lost its tension. The characters continue to impress me with their complexities and incredible wit. This book is perfect for anyone who wants a little something different. Thank you so much to Xpresso Book Tours for providing me with a copy of this book to review! I loved it and I am kind of sad that the next book is the conclusion but I am also ready for it! Chani Lynn Feener has wanted to be a writer since the age of ten during fifth grade story time. She majored in Creative Writing at Johnson State College in Vermont, and graduated in 2012. To pay her bills, she has worked many odd jobs, including, but not limited to, telemarketing, order picking in a warehouse, and filling ink cartridges. When she isn’t writing, she’s binging TV shows, drawing, or frequenting zoos/aquariums. 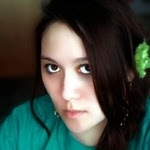 Chani is also the author of teen paranormal series, the Underworld Saga, originally written under the penname Tempest C. Avery. She currently resides in Connecticut, but lives on Goodreads.com.